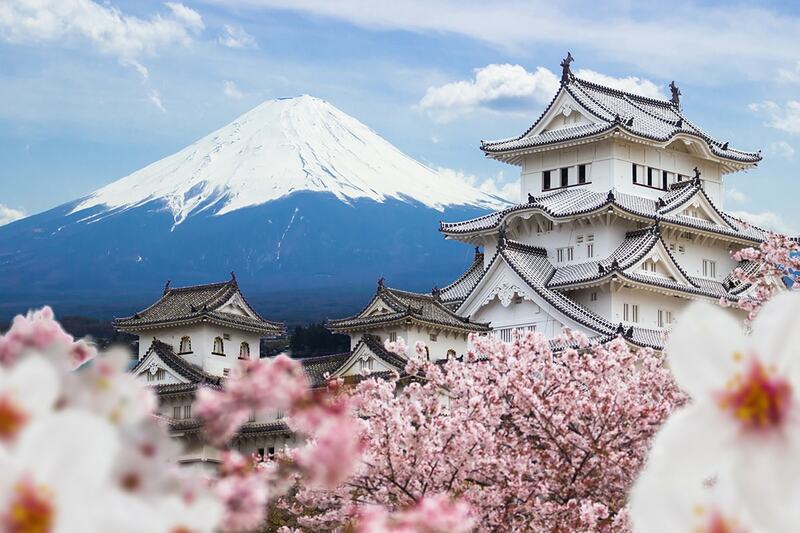 10 Day Japan's Panorama including return international flights, accommodation, breakfast daily, professional tour guides, in-depth sightseeing and more. Cherry Blossom dates available! per person twin share |	Typically $5,999! 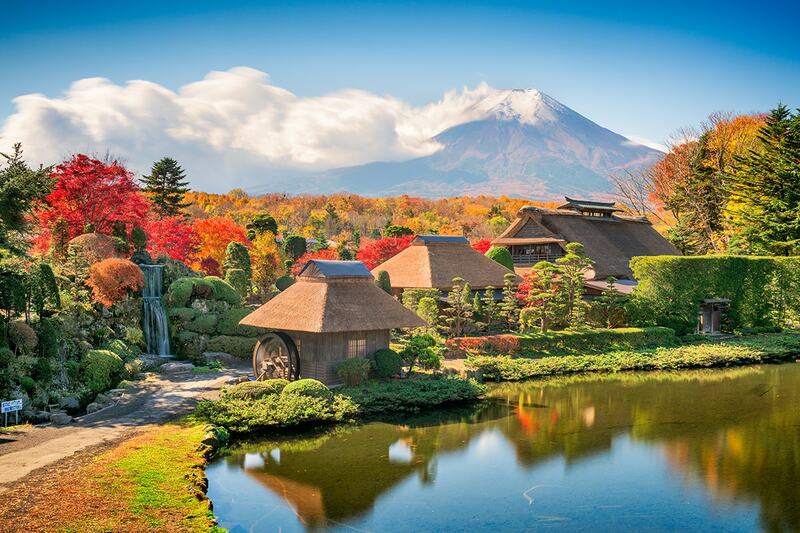 Fall in love with the beauty of Japan with an incredible 10 day Japan Panorama tour. Begin your journey in the heart of Tokyo. Wander through the famous Nakamise shopping street, visit the incredible Imperial Palace and see the Sensoji Temple, before making your way to Hakone. Taste your way through a tour of Asahi Breweries in Kanagawa and watch the entire process from start to finish. 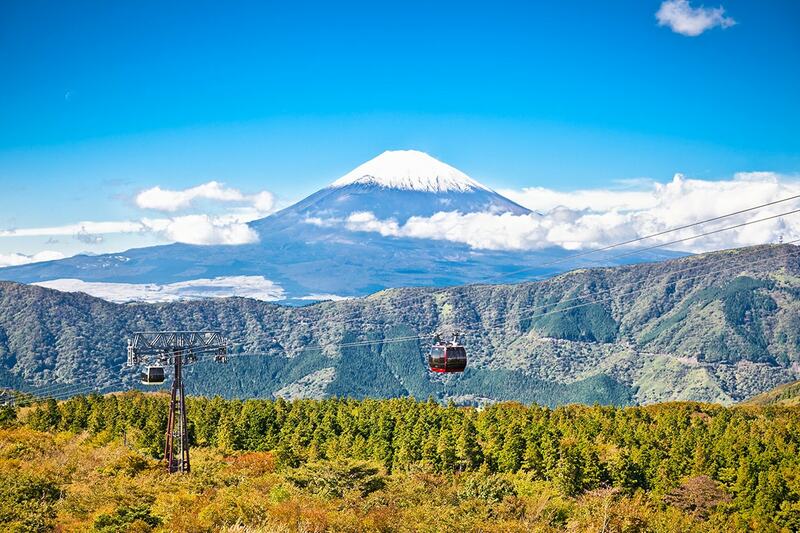 Visit the Owakudani volacano and enjoy an uninterrupted view of Mt Fuji. Roam the small scenic village of Oshino Hakkai, made up of eight ponds that are filled with melted snow from Mt Fuji. Take a sip of authentic Japanese green tea in Kakegawa, before continuing on to the ancient city of Kyoto. See the famous Kiyomizu Temple and explore the stunning shopping district, picking up souvenirs and Japanese ceramics along the way. 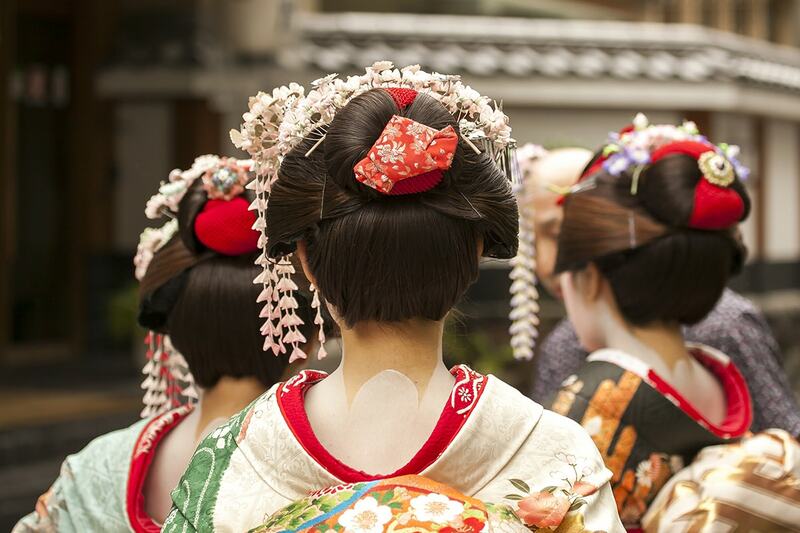 Arrive in breath-taking Osaka and enjoy a traditional Kimono show at the Nishijin Textile Gallery. 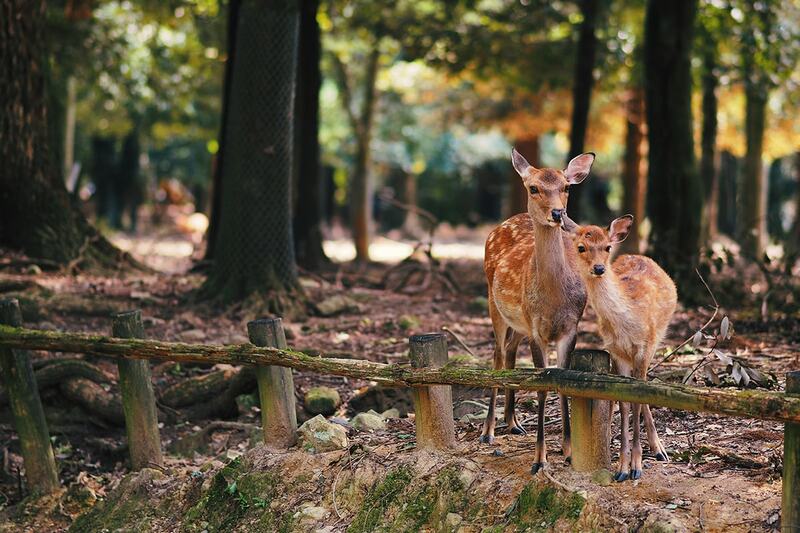 Feed the roaming wild deer in Nara Park, Nara, before ending your tour exploring the magical Osaka Castle. Your package includes return flights, accommodation, in-depth sightseeing and more. Welcome to Japan! Upon arrival you will be met and transferred to your accommodation via airport shuttle bus. The rest of the afternoon is free at leisure. 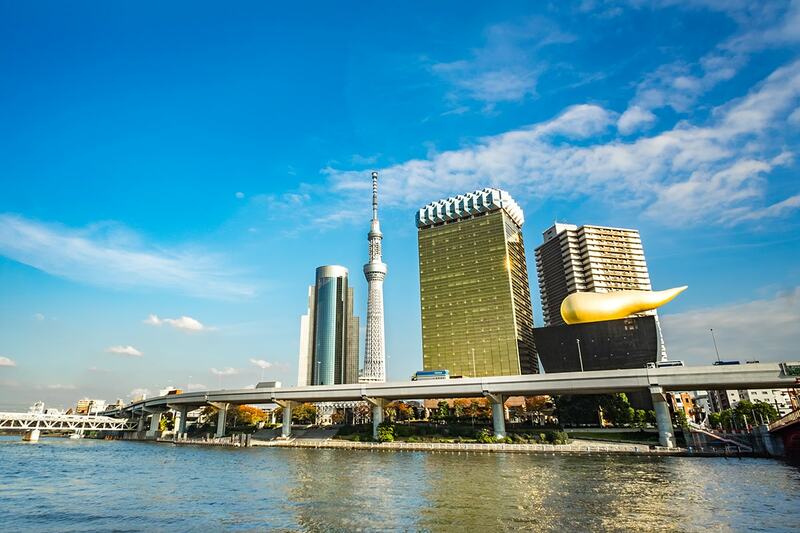 After breakfast, you will visit the beautiful capital city of Tokyo for a city tour. The tour will include a visit to the outside of the Tokyo Tower. This iconic structure was first opened in 1958 and stands at 333 metres high. Then you will stop at the Imperial Palace, otherwise known as Edo Castle, which was constructed in 1457. You will also visit the beautiful Rainbow Bridge, located at Tokyo Bay. You will then head to Asakusa Kannon Temple, also known as Sensoji Temple, a Buddhist temple built in the 7th century and the oldest temple in Japan. The tour will conclude with a trip to the famous Nakamise shopping street, where you can find traditional Japanese food, souvenirs and novelty items. Following breakfast, you will travel to Asahi Breweries in Kanagawa where you can watch the entire brewing process and also enjoy the freshly brewed beer in an open-area tasting room. You will then continue on to Hakone to visit the Owakudani volcano, and witness its sulphurous fumes, hot springs, hot rivers and on a clear day the best view of the iconic Mount Fuji. Here you will get to enjoy a scenic ride on the Hakone Ropeway (cable car) and visit the Hakone Peace Park. Please Note: Your trip to Owakudani will depend on the weather and if the weather does not permit, alternative arrangements will be made. This morning, you will begin with a trip to the Fujisan World Heritage Centre located at the foot of Mount Fuji. Here, you will learn the history of eruption, nature and culture of Mount Fuji and view the mountain from a special viewing platform. The tour will then proceed on to Oshino Hakkai, a small scenic village with eight ponds in Oshino. Each pond is filled with melted snow from Mount Fuji and are quite deep with interesting fresh water plant life and large fish that make a visit to the ponds almost like visiting an aquarium. You can even drink the cool fresh water straight from the source – if you dare. After lunch, you will continue on to Kakegawa city, where you will taste authentic Japanese green tea. 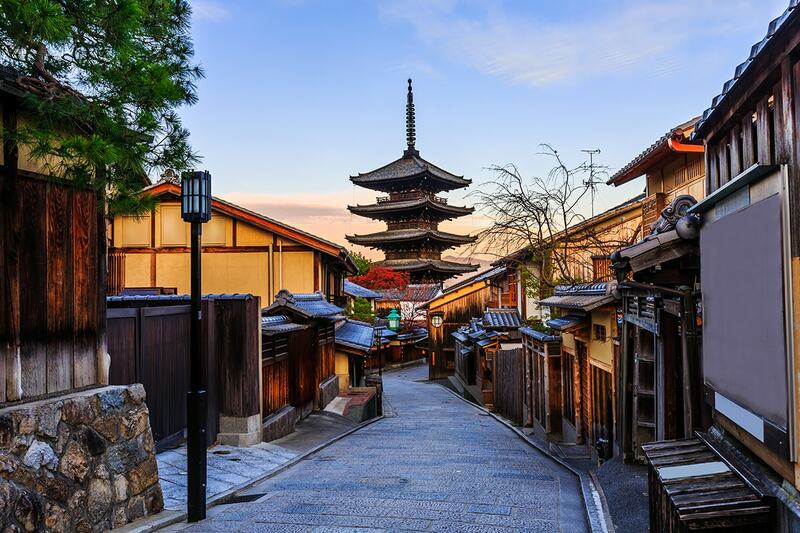 After enjoying breakfast at your hotel, you will continue to Kyoto, a romantic city renowned for its traditional and new architecture and cultural life style. The city was the country’s capital for thousands years. Once you arrive, you will visit the famous Kiyomizu Temple which was first constructed in the 7th century and rebuilt in 1633. On the journey to the temple you will walk through a beautiful shopping district where souvenirs, Kyoto ceramics, Japanese Mochi and snacks can be purchased. Later this afternoon, you will be transferred to Osaka. Today, following breakfast, you are free to explore the historic city at your own pace or you can choose to join the optional city tour. During the optional tour, you will visit Nijo Castle, the Golden Pavilion and enjoy a traditional kimono show at the Nishijin Textile Gallery. You will conclude the optional tour with a visit to the Nishiki Market, famous for its unique Japanese cuisine. Following breakfast, you will proceed to the city of Nara, which was the first capital city of Japan. 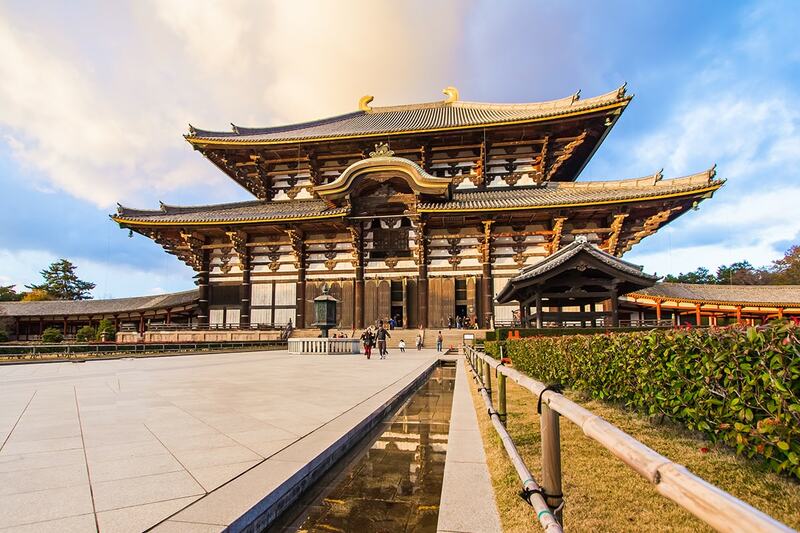 Your first stop will be the Todaiji Temple, home to the great bronze Buddha, the statue is the largest Buddha statue in the world and the surrounding park is full of thousands of holy deer. 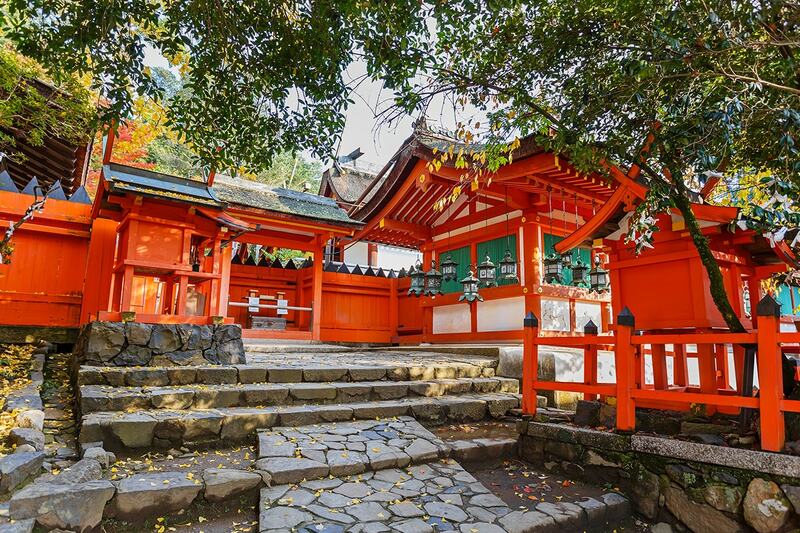 You will also visit the beautiful Kasuga Taisha, Nara’s most celebrated shrine, that is dedicated to the deity responsible for the city’s protection. 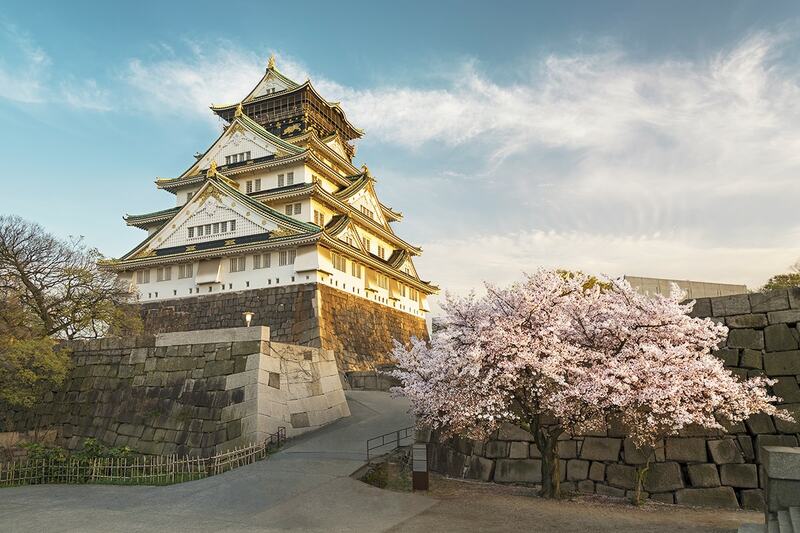 After lunch, you will continue to Osaka Castle, one of Japan’s most famous landmarks. Constructed in 1583 it served as a symbol of the unification of Japan in the 16th century. Dinner will be enjoyed at a local restaurant or Osaka hotel. Today you will be transferred to Kansai International Airport for your flight home. We hope you enjoyed your journey to Japan with us! After breakfast, you will be brought to Kiku-Masamune Sake which is the most authentic and abidingly popular variety of Japanese sake. You will taste this traditional alcohol and enjoy the sweetness of the sake here. After that you will be transferred to Kobe where you can enjoy the signature WaGyu beef lunch. In the afternoon, you will visit the beautiful city Himeji, this has been featured in a series of Japanese and foreign films due to its picturesque old-Japan look. In here, you can see the famous many-tiered white Himeji Castle (built in 1580) which is acclaimed as Japan’s most beautiful and complete historic citadel. It was registered in 1993 as one of the first UNESCO World Heritage Sites in Japan. Afterwards, you will be transferred to Okayama and check-in hotel in the evening. This morning you will pay a visit to Okayama Korakuen. 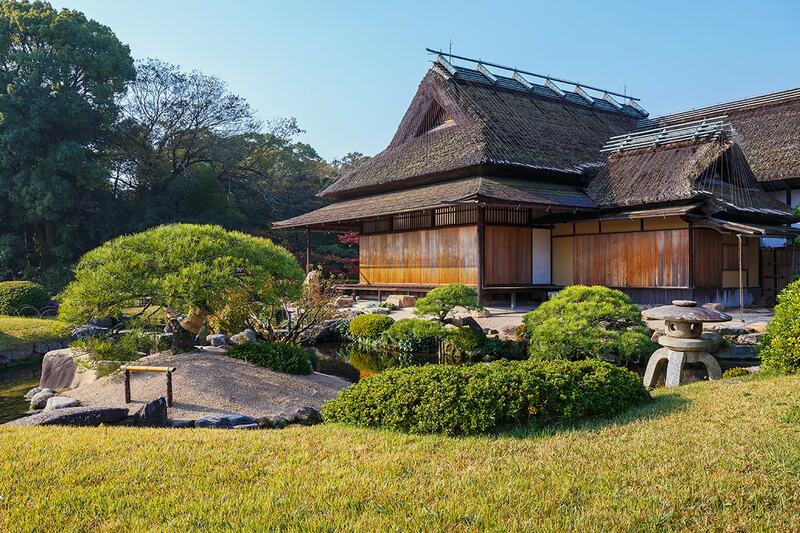 It is one of the three most beautiful gardens in Japan, a sterling example of the precepts of Japanese garden design and a cultural heritage site for the world to treasure. It is also one of the few Daimyo gardens in the provinces where historical change can be observed. Afterwards, you will head to the hotel in Hiroshima to check-in and rest. Today begins with a trip to Miyajima Island. After a short boat trip, you will arrive Miyajima Island, which is one of the most scenic spots in Japan. It has long been regarded as an Island of Gods on the beautiful Seto Inland Sea. 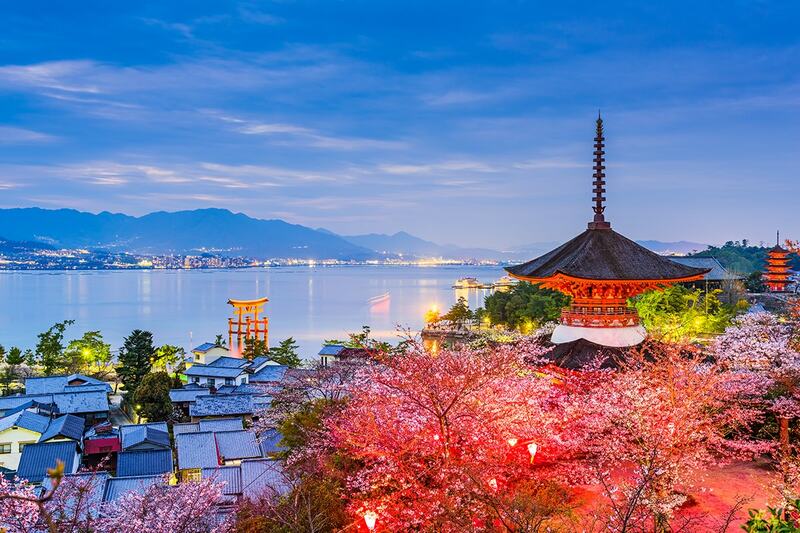 It is a romantic and historical island where Itsukushima Shrine, a UNESCO World Heritage site, is located, along with the Virgin Forest of Mt. Misen, and numerous preserved shrines, temples and historical monuments. You can take a stroll here or choose to experience the local wagashi (Japanese confectionary) making at an extra cost. Then, you will continue your trip to the next destination; the Hiroshima Peace Memorial. It is commonly well known as the Atomic Bomb Dome. 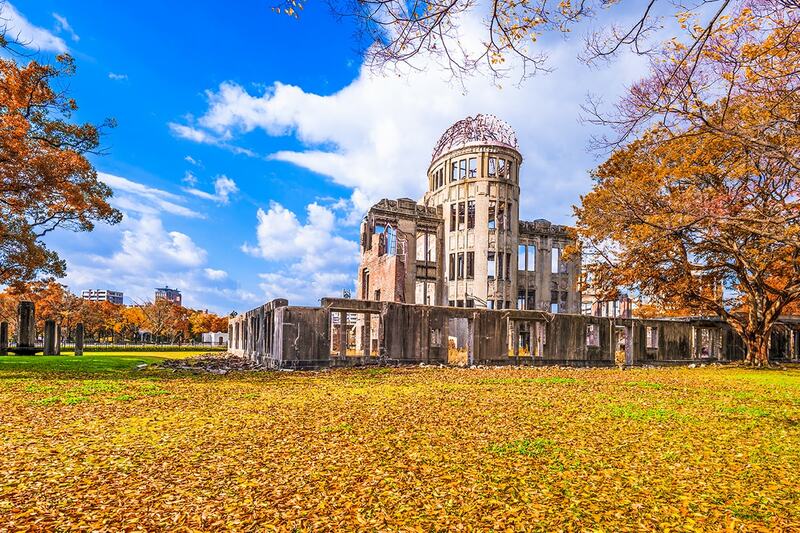 This represent Hiroshima, the first city to fall victim to nuclear bombing is registered as a world heritage site as a symbol of prayer for permanent world peace and the elimination of all nuclear weapons. After enjoying breakfast at your hotel, you will travel to the MSDF Kure Museum, which is established to introduce and exhibit submarines and minesweeping. While exhibiting the real submarine which was recently decommissioned and focusing on transmitting information across the Internet, the museum simply explains operations of Fleet Submarine Force and Mine Warfare Force of JMSDF(Japan Maritime Self-Defense Force). After lunch, you will continue on to visit Iwakuni. 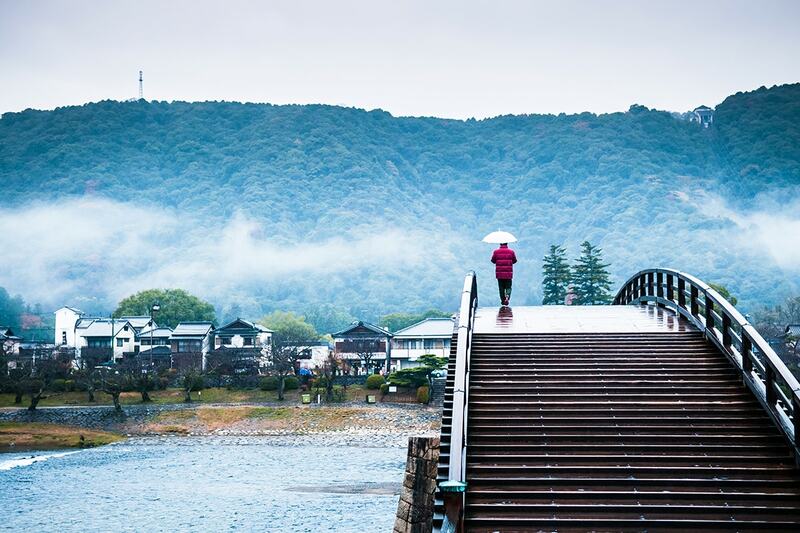 You will visit Kintai Bridge, the symbol of Iwakuni. It is a historical wooden arch bridge which was built in 1673. With a series of five wooden arches, the bridge spans the Nishiki River. For almost three hundred years, the bridge stood without using nails. This traditional construction is known as one of Japan, s three great bridges. Here, you can choose to take a cable car to visit the castle and overlook the whole area before heading back to the hotel for the evening. Following breakfast, you will be transferred to Kurashiki. The town of Kurashiki is one of the largest industrial towns in Western Japan, as well as a sightseeing city that preserves the atmosphere of olden-day Japan. 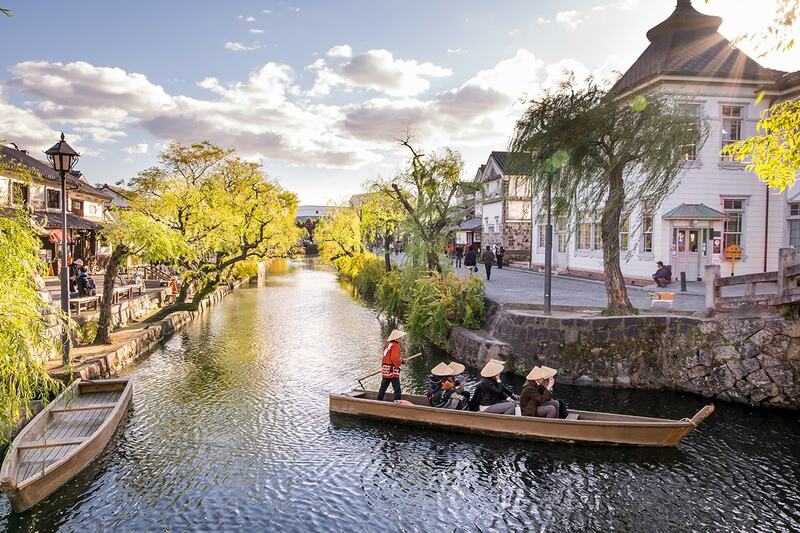 The scenery of the old days is mostly preserved with white earthen-walled warehouses and villas lined up along Kurashiki River, weeping willows swinging their branches over the river, and stone bridges. Afterwards, drive back to Osaka and check-in hotel for rest. 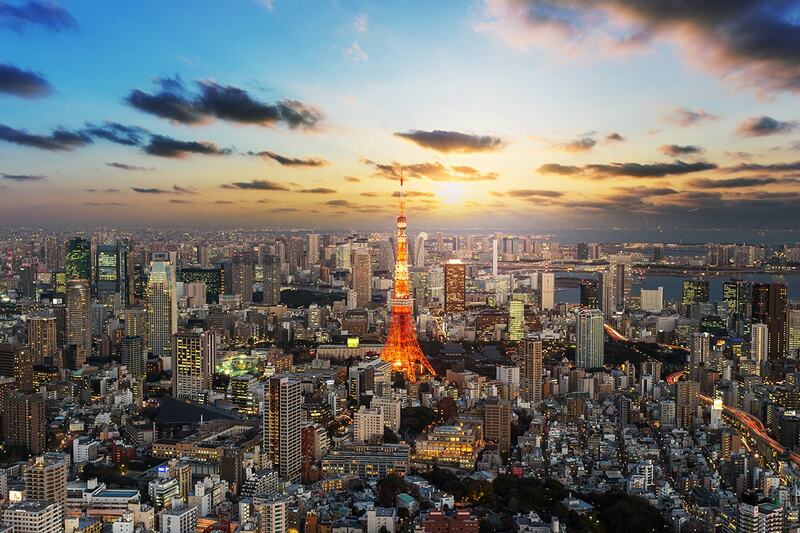 Tour the gorgeous city of Tokyo and visit the Tokyo Tower, Imperial Palace, Sensoji Temple and more. Take a trip to the Fujisan World Heritage Centre and learn about the history and culture of Mt Fuji. Enjoy a visit to Asahi Breweries and view the beer production process from start to finish – don’t forget to have a taste while you’re at it! The booking form must be completed including your passport details within one week to secure your requested travel date. A deposit of $999/$1,199 per person are due at the time of purchase in order to secure your date. 10 day tour: $960 per person in addition to the twin share voucher. 15 day tour: $1440 per person in addition to the twin share voucher. For more information see the itinerary. We are unable to guarantee which airline you will travel with as flights will be booked subject to promotional fare availability for your travel dates. Including minimum 20kg of checked baggage per passenger (actual limit is subject to airline). Customers wishing to choose their preferred airline – please purchase your voucher first and request your preferred airline in the ‘special requests’ field when submitting your booking form. Please note, this is a request basis only. A $200 per person “breakaway” charge will apply per person plus any applicable fare and tax difference. PLEASE NOTE: No flight requests/quotes/upgrades will be actioned until full payment has been made. At this time you will be contact by our operator in relation to your request. Payment of the breakaway fee and any applicable fare and tax difference is to be paid directly to our operator at the time of quotation. If you wish to extend your trip, a $200 per person breakaway charge will apply (subject to availability and applicable fare difference). Your stay behind request must be submitted when completing your booking form. Only the return date can be altered. PLEASE NOTE: No staybehind will be actioned until full payment is made. If you wish to alter or extend your trip, please purchase your voucher first and submit a request on your booking form. Webjet Exclusives will then provide quotations for any alterations or extensions. Should you wish to proceed any additional charges will be collected. However if you are unhappy with the options a full refund of the voucher will be provided. PLEASE NOTE: No extension request will be actioned until full payment is made. Please note, if you have selected a breakaway, airport transfers (if applicable) will not be provided.